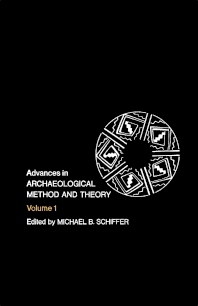 Advances in Archaeological Method and Theory, Volume 1 presents the progressive explorations in methods and theory in archeology. This book discusses the strategy for appraising significance, which is needed to maximize the preservation and wise use of cultural resources. Organized into 10 chapters, this volume begins with an overview of planning for the best long-term use of cultural resources, which is the essence of conservation archeology. This text then examines importance of the concept in cultural ecological studies. Other chapters consider the methods used in determining the density, size, and growth rate of human populations. This book discusses as well the use of demographic variables in archeological explanation. The final chapter deals with the decisions that must be made in designing a survey and to identify the alternative consequences for data recovery of various strategies. This book is a valuable resource for archeologists and planners.